Summer sun to fall leaves to cold winter mornings, July to December–having served five months as president of AASL, it is time to think back on challenges and celebrations and to reflect and share. As I reflect, I am dismayed by the number of children across the country who do not have the services of a full-time certified school librarian. As school librarians, we foster inquiry, inspire a love of reading, and teach critical information, media, and digital literacy skills. Yet, we know that, for example, three out of four Chicago public schools do not have school librarians. We know that, although the suggested ratio in California public schools of librarian to students is 1: 785, the actual ratio is 1: 7,187. As I have the opportunity to visit state affiliate conferences, I hear of one librarian who is responsible for four schools, seven schools, all the schools in the district. I am dismayed by the realization that not only are librarians in this situation frustrated because they cannot properly do the job they were trained to do but also, and ultimately, it is the students in these schools who suffer because they do not have a trained library professional to teach them critical information, media, and digital literacy skills. And, sadly, we are seeing the impact of this lack of library instruction. This summer parents in Chesterfield County (VA) challenged several books on summer reading lists and demanded that the books be removed from library collections. Currently in Accomack County (VA) parents have objected to The Adventures of Huckleberry Finn and To Kill a Mockingbird. 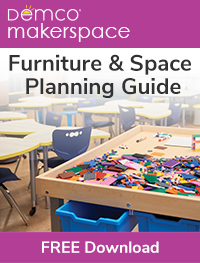 The November 2016 report issued by the California State Auditor titled School Library Services: Vague State Laws and a Lack of Monitoring Allow School Districts to Provide a Minimum Level of School Library Services provides recommendations for increasing the number of school librarians and library services in California schools. Chesterfield County (VA) Superintendent, Dr. James Lane, supported the school division review committee’s recommendations to keep three challenged books on library shelves. 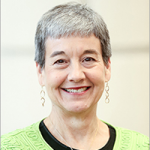 The American Library Association, ALA’s Office for Intellectual Freedom, AASL, the Virginia Association of School Librarians, and the Virginia Library Association have taken a strong stance against Virginia’s proposed amendment requiring labelling of “sexually explicit” material. 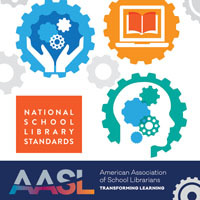 AASL’s ESSA workshops in 30+ states have helped librarians to unpack the language of the law and develop strategies to be visible and vocal at state and local levels. On state visits and in various conference calls, I hear of librarians serving on state implementation planning teams for ESSA. We’ve noted that it is critical that school libraries be represented as ESSA planning moves forward, and it seems that we are being invited to be at the table. At the association level, our 65th Anniversary campaign continues. Funds raised in this campaign will be used for Student Bridge Scholarships and the AASL Induction Program. If you’ve not already donated, consider giving to support the growth of future leaders of our profession. Our new standards and guidelines are scheduled for launch at the AASL’s 2017 National Conference & Exhibition in Phoenix, AZ. 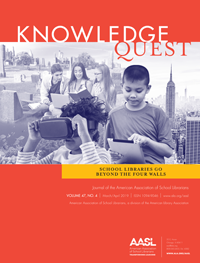 AASL is truly looking beyond the horizon. ‹ Give a Gift That Counts!